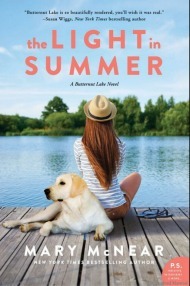 Natalie’s One-Sentence Synopsis: Ruta Sepetys masterfully spins grim historic events–forced deportation, grueling labor camps, families splintered because of war and government–into an accessible fictional account, holding readers rapt with strong characters and underlying themes of hope and perseverance in the face of bleakness and despair. 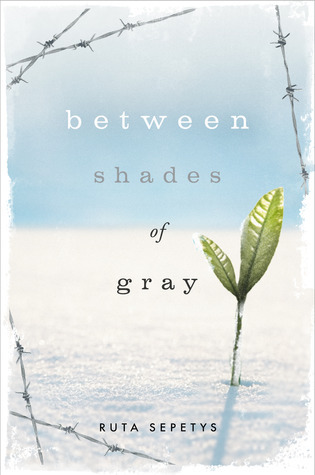 Back in February, I read a review for Between Shades of Gray (and a subsequent interview with author Ruta Sepetys) over on Kathy’s blog (Bermuda Onion). 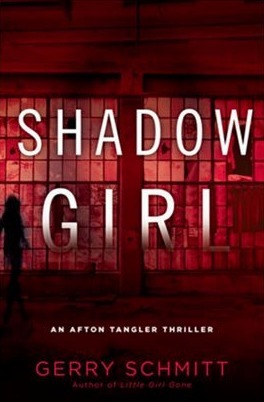 Kathy’s synopsis and response to the novel piqued my interest–I’m always looking for new books to recommend to my students–so I added Between Shades of Gray to an ever-lengthening list of TBRs. The novel tells the story of a 15-year-old Lina Vilkas, a Lithuanian who, along with her mother and young brother, has been deported to Siberia following the Russian invasion of their country during World War II. Her father has been sent to a labor camp, and Lina clings to the hope that he will find and save them from their plight. Drawing on her gifts as an artist, she renders maps and images to help him find their location and bribes others to pass along the information to the prison. 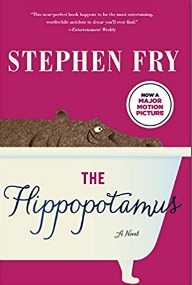 I have to be honest: while Kathy’s interview and review caught my attention, I was mainly interested in this novel for my students. It didn’t really sound like my typical read, but I do try to branch out so my recommendations are varied. Between Shades of Gray surprised me with its power–the story is captivating but painful–and I came away awed by Sepetys’s debut novel. Flashbacks within the novel offered the backstory, showing glimpses of a better time for Lina and her family, and there are several subplots that were particularly engaging. The characters were so authentic that I often forgot the novel was fiction. The characters’ pain and suffering was palpable, but Lina refused to give up even when faced with devastation after devastation. This book deserves every accolade it has garnered and I would unhesitatingly recommend it to any reader or book club. Between Shades of Gray transcends genres and has something to offer readers of every age; I’m considering it for required Summer Reading on my syllabus next year. *While this book has been marketed as YA, the story it tells is sophisticated, poignant, and at times, disturbing and could easily be appreciated by readers well beyond their young adult years. I also thought this was a wonderful book. But hmmm, I see you are about to review The Astral – I can’t wait! I have it, and have read some reviews, but haven’t decided yet on picking it up, so I am really looking forward to seeing what you think! 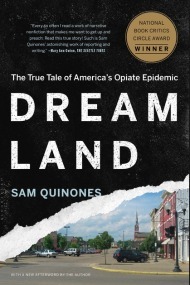 I just finished this book a few days ago and was blown away. It made me smile and it made me cry. I was surprised how wrapped up I was in the story. I have this on my end table right now. I have heard nothing but amazing things about it, I’m glad you liked it too. Jess – A Book Hoarder´s last blog post ..Pottermore! Oh goodness, this sounds good. I’ve seen the title around but haven’t really investigated it. But, a book that works for book clubs, readers, AND students? Very cool! I’m glad that you would recommend this one. I haven’t read it yet but I plan to. With a glowing review like that, how I could I not be interested? It kind of sounds like it would be along the same lines as The Book Thief, not exactly the story but in the emotions it evokes. I’ve added it to my to-read list! Wow this does sound like a really fantastic book, thanks for the review. It’s nice when a book surprises you in a good way. Great review. I’m hoping to start a book club in my new residence hall next year and I’m thinking that this might be a good book for that purpose.